Everyone is on board the blocktrain – but do we all know the destination? Raido Rentnik explains why fintech education should be part of the curriculum. Blockchain and cryptocurrencies are disrupting the financial services sector. Yet there is still a certain lack of trust in such technologies. How do you help operators build public trust? There is always a learning curve when it comes to mass adoption of anything, especially when it related to money. There was a time when people did not trust banks and financial institutions, and many people still don’t. Blockchain is a relatively new type of technology with cryptocurrency transactions being one of the most known applications of blockchain technology. It will take a substantial amount of time and effort to make it easy for everyone to understand and in terms of cryptocurrency, to become as mainstream as government-issued currency. Trust and education go hand in hand, as the more you understand, the more you will appreciate your options. I believe that people don’t have the trust in blockchain technology because of their lack of knowledge in this space. I hope that in the near future, school systems include topics such as an introduction to blockchain, and cryptocurrency basics in their curricula. This is an important first step to build trust and increase awareness to the younger generation. Savii Publishing is hoping to educate as many people as possible, from young to old, and make the words “cryptocurrency” and “blockchain” easier to understand. We created a range of books for students of all ages which are now being purchased by educational establishments and businesses all over the world. There is also a lack of knowledge in the sector. Who should address such gaps – regulators or operators? The gaps in knowledge should be honestly addressed by everyone in this space, but we know that is a big ask. Many operators are attempting to explain concepts at too high a level, making the worlds of blockchain and crypto even more confusing. Regulators, on the other hand, are busy making rules and regulations to safeguard their citizens, and the educational part has fallen by the wayside. This is why we needed to step in. We know from dealing with many people within the blockchain and crypto communities that there is confusion and a lack of basic understanding, so we stepped in – and we have helped thousands of people so far. Now we are looking at educational institutions and businesses to join us in this quest. You have launched a series of educational books about cryptos and blockchain. What is the main aim of these publications? At Savii Digital, while working with the many clients we have in blockchain and cryptocurrency, we noticed that there was literally no easy-to-understand literature about fintech. All the books were written in technical language, and people with no technical background were unable to learn the basics without a dictionary. Savii Digital believes in plain speaking, so we decided to open Savii Publishing, our publishing department. So far, we have published two books, with four more coming shortly, including in multiple languages. 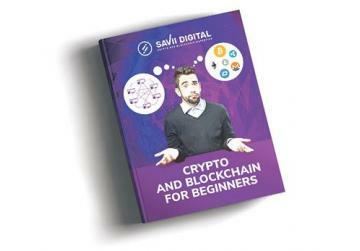 The first book, Crypto and Blockchain for Beginners, is written by Mihkel Šorin, director of content at Savii Digital and Aviva Õunap, experienced marketing guru and CMO of Savii Digital. Crypto and Blockchain for Beginners is an introduction to the worlds of blockchain technology and cryptocurrency. It is not an in-depth technical field manual for programmers and developers, but a fun yet educational book in plain English to help everyone understand the functions of blockchain and cryptocurrency. After finishing this book, everyone will be able to understand the concepts and happily engage in conversations with their new-found knowledge. Complete with case studies, this is the only book that expands readers’ basic knowledge on the topics of crypto and blockchain. The second book is dedicated to our younger generation. 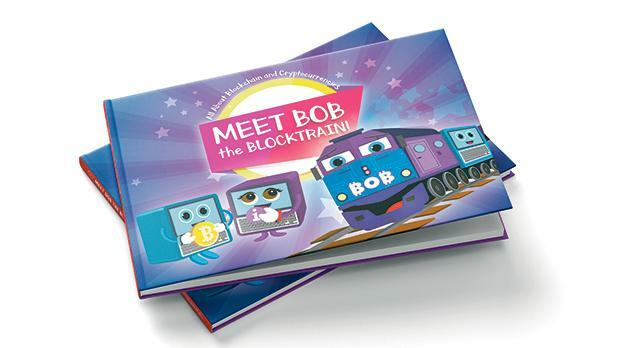 Meet Bob the Blocktrain is a fun journey about cryptocurrencies, blockchain, nodes, miners and hackers. All the activity is happening in a magical Blockchainland. 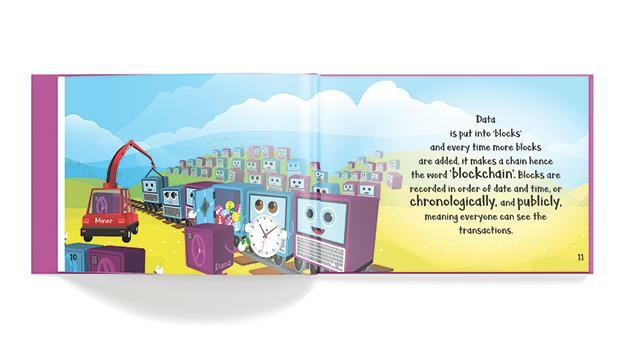 This book will introduce children to the fun characters of the Blockchainland including the happy-go-lucky nodes and miners, and Bob the Blocktrain, who will transport children through the learning process. We are going to release two more books soon. One is the Cryptocurrency and Blockchain Activity Book for children, and their parents. This book will be full of fun and educational exercises and interesting for children and their parents. Another book out shortly is called the Student’s Guide to Cryptocurrencies and Blockchain Technology, which is a beginners’ guide for students who need an understanding of blockchain technology written in a way that makes them understand their place in the future of this space. Besides Savii Publishing, Savii Digital is also educating people through a weekly free podcast series called Crypto and Blockchain Talk (cryptoandblockchaintalk.com), and the 24/7 internet radio station Crypto24Radio.com, where our main focus is to give people breaking news, insightful interviews and educational experiences. Should educational institutions incorporate blockchain technologies as part of their curriculum? Governments and educational institutions globally should be implementing blockchain education within their school curricula, for all ages. In the future, blockchain technology will be used across all sectors, including transportation, healthcare, travel, entertainment, and supply chains. We already have partnerships and are supplying books to many educational establishments and libraries, both public and private. If blockchain is the future, surely education must start with the children to heighten their understanding of what tomorrow’s technology means to them. What HR needs do blockchain and cryptocurrency operators currently have? We know that many businesses operating in this space have staff who are new to blockchain technology and cryptocurrency, and are looking to use this book as part of this onboarding process. Not every member of staff is a developer, or crypto and blockchain enthusiast. We are currently supplying a number of businesses with books to help educate and bring awareness to their staff, and customers, including investment houses. 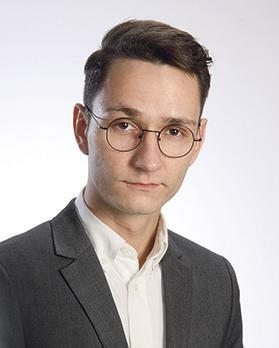 Raido Rentnik is media director at Savii Digital Marketing Agency.